Once Upon a Twilight! : #Denver Grab Passes to Whiskey Tango Foxtrot #WTFTheMovie 3/1! 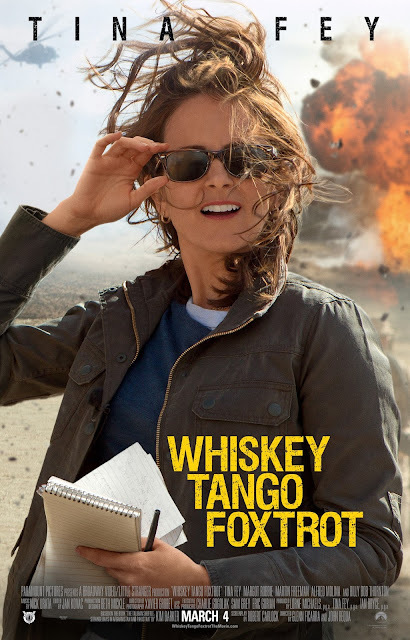 #Denver Grab Passes to Whiskey Tango Foxtrot #WTFTheMovie 3/1! When reporter Kim Barker’s (Tina Fey) life needs something more, she decides to 'shake it all up’ by taking an assignment in a war zone. There, in the midst of chaos, she finds the strength she never knew she had. Sometimes it takes saying ‘WTF’ to find the life you were always destined to have. Also starring Margo Robbie, Martin Freeman, Alfred Molina and Billy Bob Thornton, the film is directed by Glenn Ficarra and John Requa (“Crazy, Stupid, Love”) from a screenplay by Robert Carlock (“Saturday Night Live,” “30 Rock”). Do you want to see WHISKEY TANGO FOXTROT before it hits theaters? Well click on the poster for your chance to download an admit-two screening pass for an advance screening on Tuesday, March 1st at 7:00PM in Denver! Seats in the theater are first-come, first-serve so PLEASE ARRIVE EARLY! WHISKEY TANGO FOXTROT opens everywhere on March 4th.